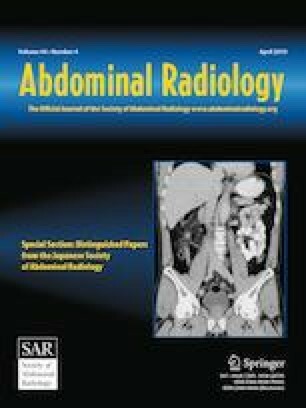 To determine the diagnostic sensitivity and interobserver agreement of Gallium 68-prostate-specific membrane antigen positron emission tomography/computed tomography (68Ga-PSMA-11 PET/CT) imaging for diagnosis and staging of patients with newly diagnosed prostate cancer (PC). One hundred and seventy-three men (mean age, 68 ± 7.7 years; range 46–84 years) with newly diagnosed, untreated PC were enrolled in this prospective study between January 2017 and August 2018. All patients underwent a 68Ga-PSMA-11 PET/CT examination. For each patient, we determined the disease stage, the Gleason score, and the maximum standardized uptake value (SUVmax) for primary prostatic tumor and extraprostatic metastases. The diagnostic sensitivity and interobserver agreement of 68Ga-PSMA-11 PET/CT for diagnosis and staging of PC were established by histopathology as the reference standard. 68Ga-PSMA-11 PET/CT examinations were interpreted as positive for PC in 166 of 173 patients (101 patients had primary prostatic tumor only, two patients had extraprostatic metastases only and 63 patients had combined lesions). The sensitivity of 68Ga-PSMA-11 PET/CT examination in the diagnosis of PC was 96%. 68Ga-PSMA-11 PET/CT produced a significant change of stage in 28.6% patients with an upstage in 17.9% patients and a downstage in 10.7% patients. The interobserver agreements were almost good to perfect (k = 0.63–0.89) for visual image interpretation, SUVmax measurement, and tumor staging. 68Ga-PSMA-11 PET/CT is a valuable tool with high diagnostic sensitivity (96%) and high reproducibility for diagnosis and staging of patients with newly diagnosed PC. The authors thank all staff members and colleagues in the PET CT Unite - MISR RADIOLOGY center (MRC)-Egypt for their helpful cooperation and all the study participants for their patience and support. The authors of this manuscript declare no relevant conflicts of interest, and no relationships with any companies, whose products or services may be related to the subject matter of the article.